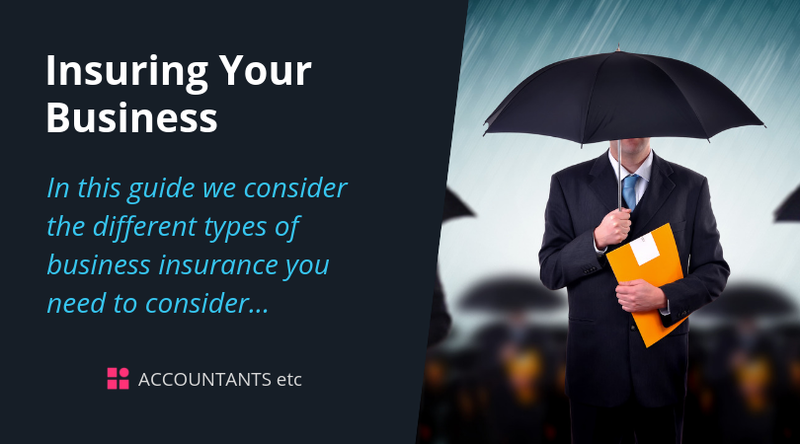 In this guide we consider the different types of business insurance you need to consider. Employers’ liability insurance is compulsory to cover your employees. By law you must have at least £5 million of cover and come from an authorised insurer, although a minimum of £10 million is now provided by most policies. You must display the certificate of insurance in the workplace. If your business is not a limited company, and you are the only employee or you only employ close family members, you do not need compulsory employers’ liability insurance. Limited companies with only one employee, where that employee also owns 50% or more of the company’s shares, have also been exempt from compulsory employers’ liability insurance. Please talk to us if you would like any further help on insuring your business.